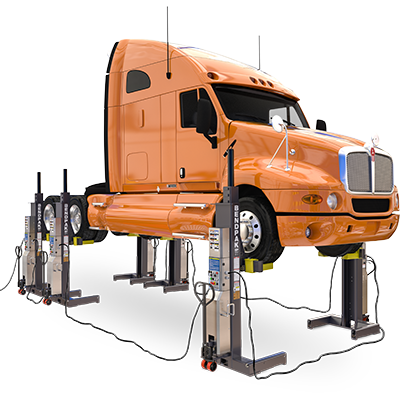 With 6 mobile column lifts in a single setup, you have the ability to lift up to 48,988-kg. Despite so much lifting power, each column is easy to stow away in minutes flat after the vehicle is lowered. Safety and user control is paramount, so all lifts will be connected via a single control panel and can be stopped simultaneously with the push of a button.